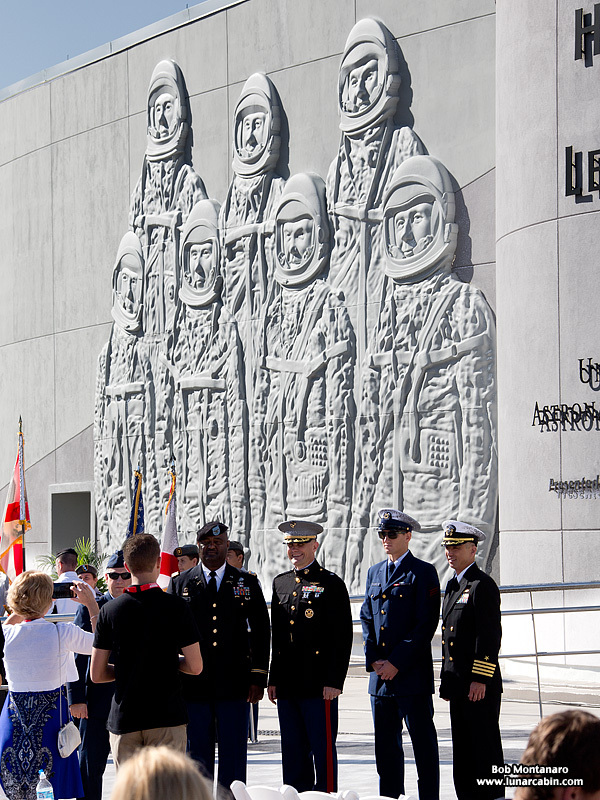 Heroes and Legends at Kennedy Space Center Visitor Complex remembers the efforts of early space pioneers from the Mercury and Gemini programs. 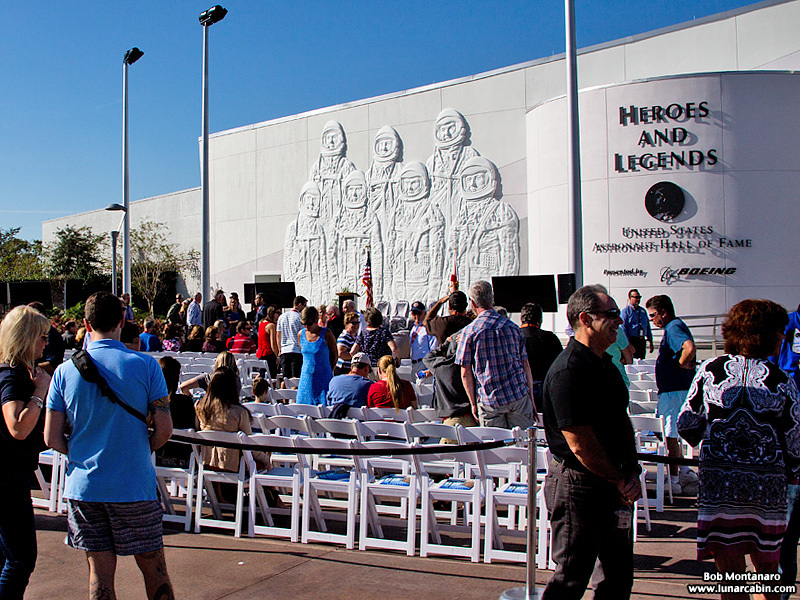 The grand opening on 11 November 2016 brought out many living heroes and legends from the Astronaut Hall of Fame to take part in opening this major new edition to the Visitor Complex. 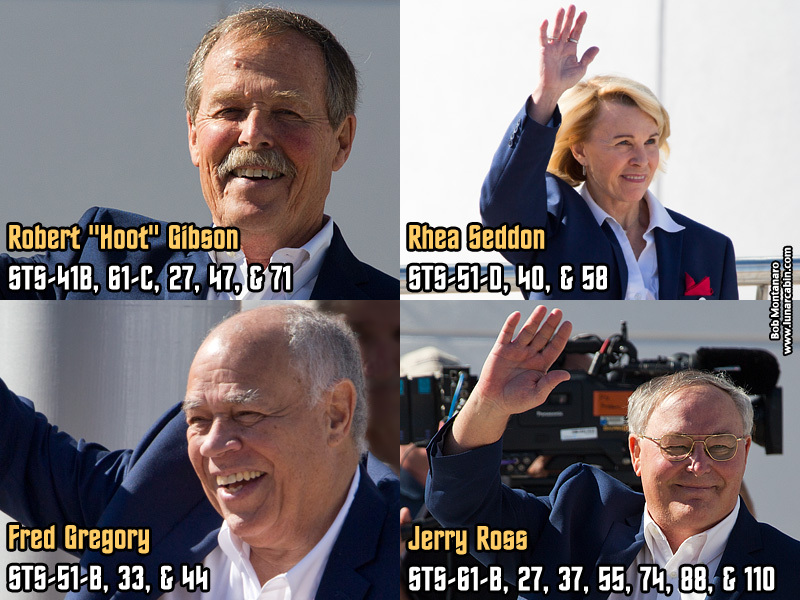 The U.S. Astronaut Hall of Fame is part of Heroes and Legends and honors astronauts from all of NASA’s space flight programs. People begin gathering before the 10:00 a.m. start time. 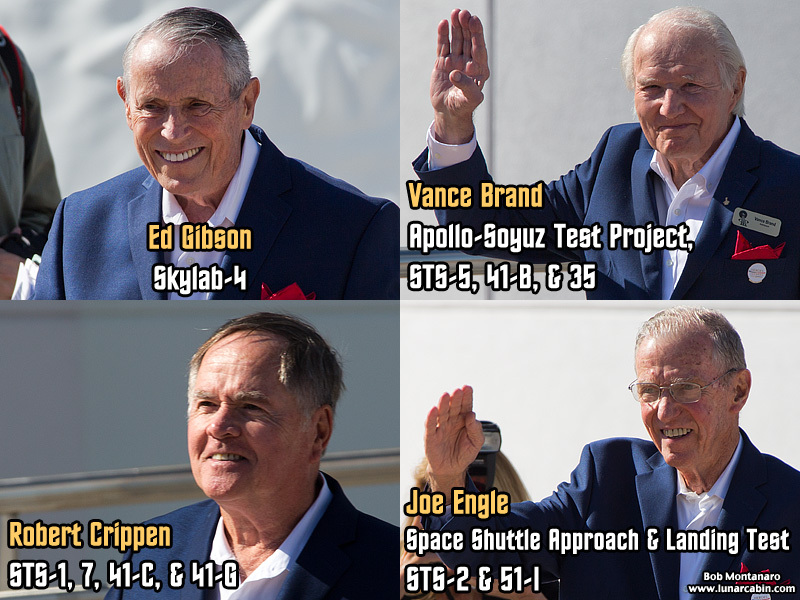 All branches of the military were represented reflecting the same composition found in the NASA Astronaut Corps. 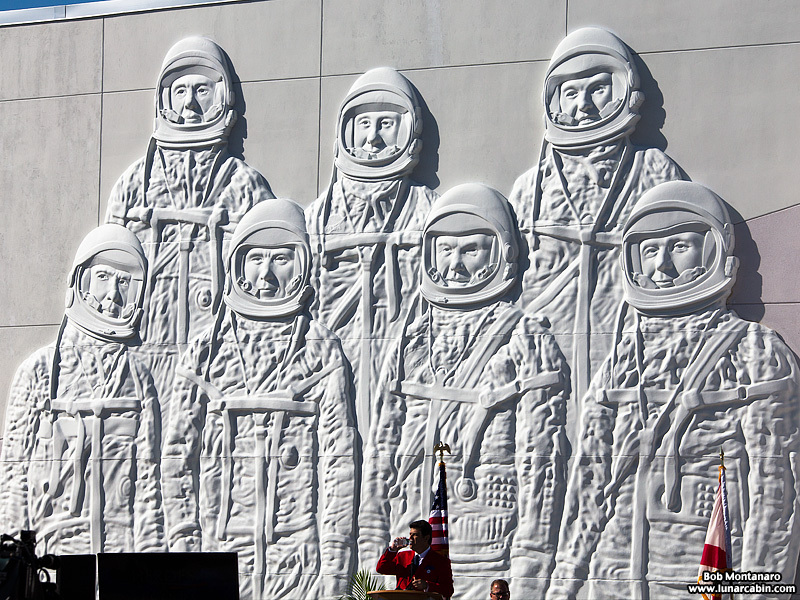 On the wall of the Heroes and Legends building is a bas-relief of the original seven Mercury astronauts. Detail shot of the Mercury astronaut sculpture on the wall. That is retired CNN correspondent John Zarrella, the emcee for the event, drinking water before beginning. 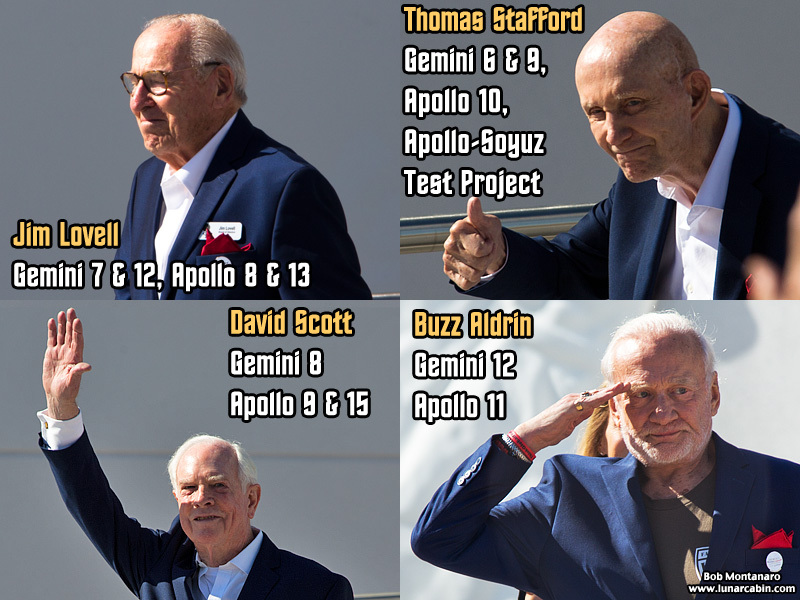 Zarella covered the space program from 1981 to 2013 while working for CNN. 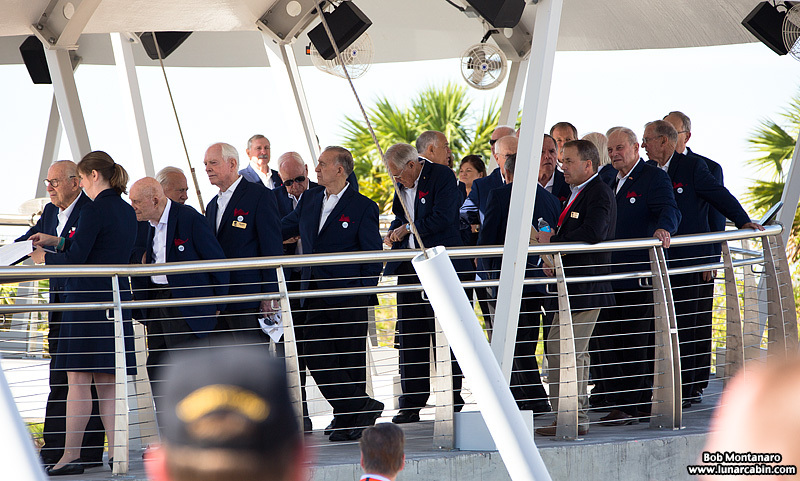 A close-up during the National Anthem showing at left Rick Abramson, executive vice-president and chief operating officer of Delaware North, the company that runs the Visitor Complex for NASA. 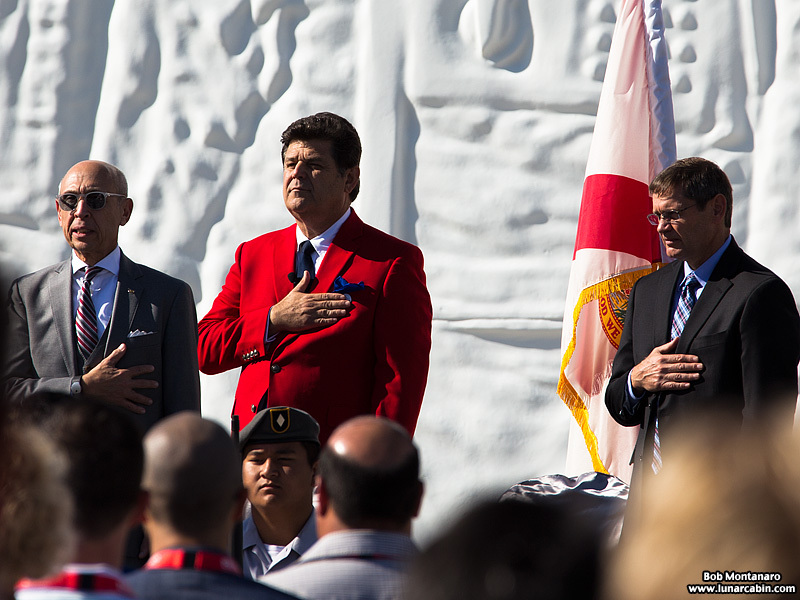 In the center is John Zarella in his distinctive red jacket. And, finally, vice-president and general manager of Boeing Space Exploration John Elbon. Boeing is a sponsor of the new exhibit. 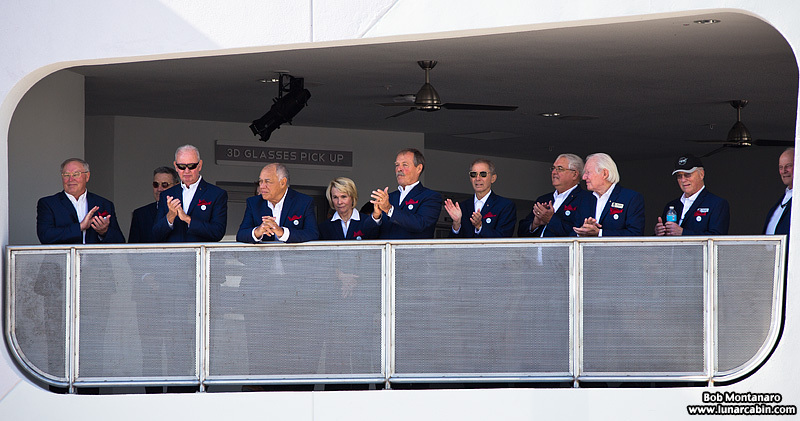 The Hall of Fame astronauts watch the proceedings from the second floor entrance to Heroes and Legends. 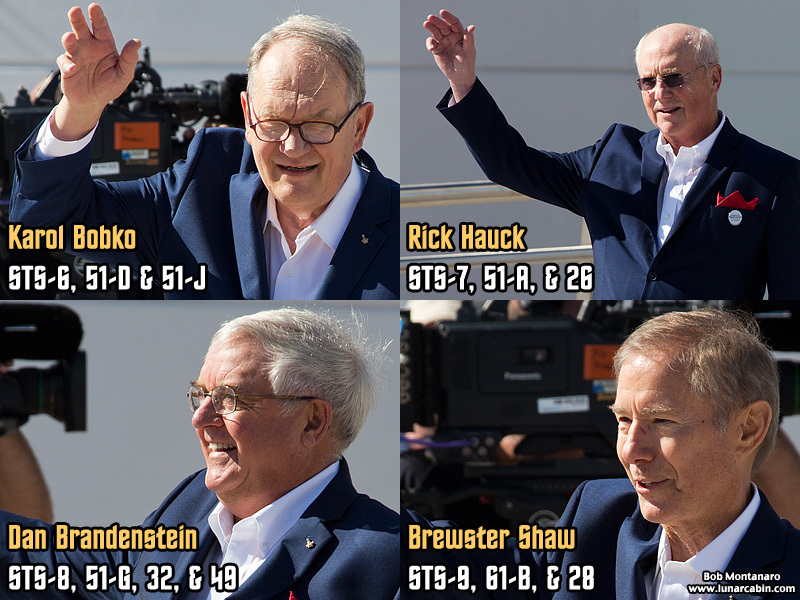 Above, the astronauts come down the entrance ramp waiting to be called out one-by-one to be recognized. 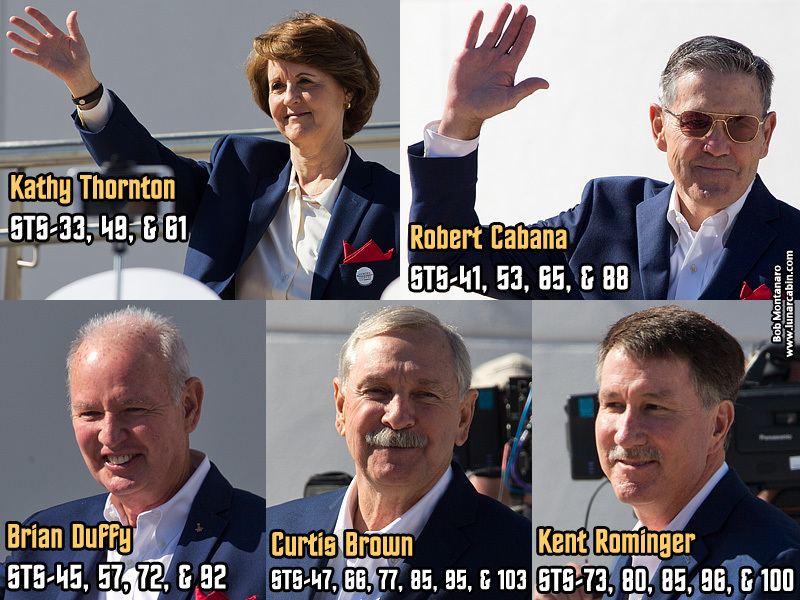 Below are the astronauts and their respective missions. 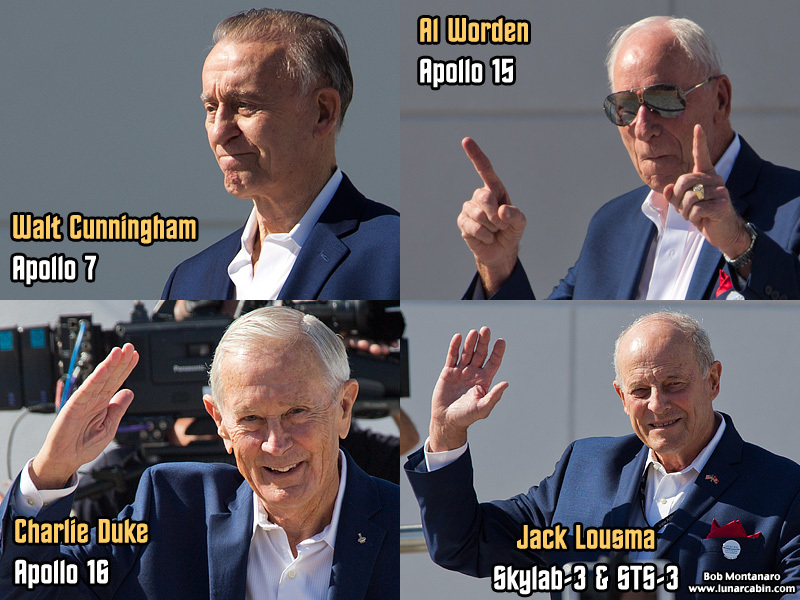 The audience gives the astronauts a standing ovation. 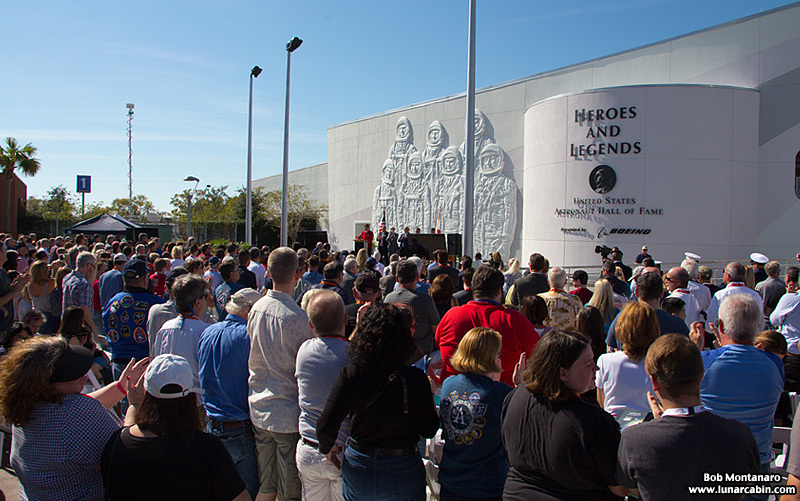 Click to view Heroes and Legends: The Exhibit.